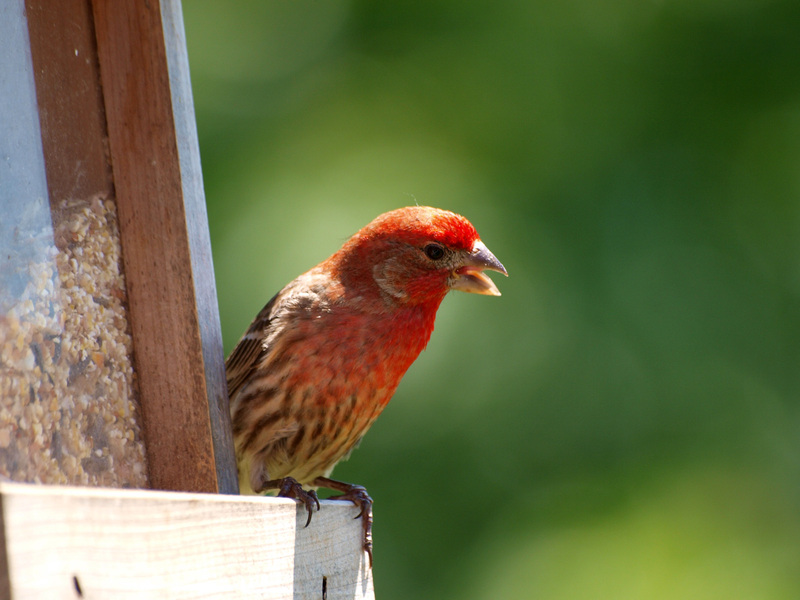 This young House Finch eating on one of our many bird feeders was born earlier this spring in front of our house. Every year there is a pair of house finches that builds a nest in one of the shrubs near our front entrance, this year they had three young ones that hatched and now flying around on their own. Photo was taken by my finance with the Olympus 70-300mm zoom lens, click on the image above for a large photo.